Your Camera Roll on steriods! Featured in TechCrunch and CNET! 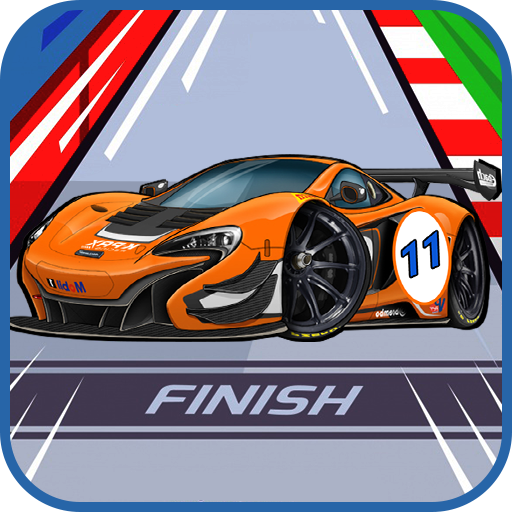 Get it now at the special promotional price. QuickPics Photo Manager allows you to name and tag your pics, then quickly find them by using the search bar and/or sort buttons. Never scroll again to find a pic, it will save you so much time! 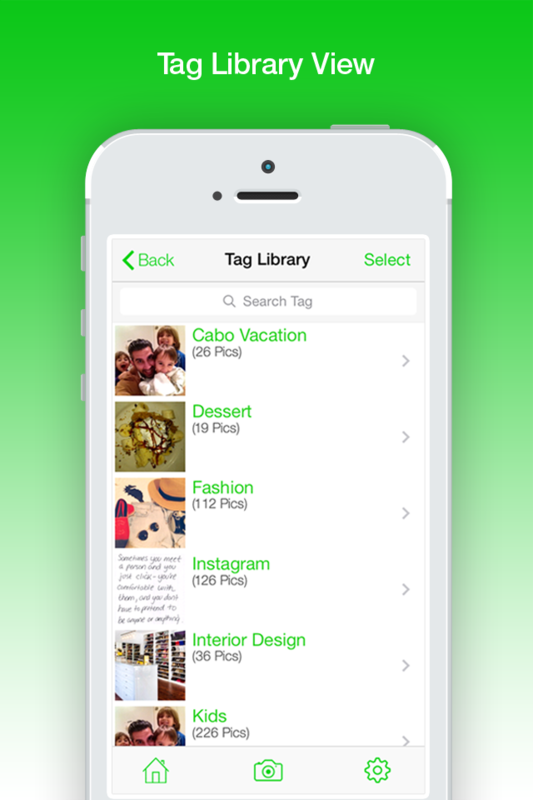 With 1 tap you can easily name/tag the pics already on your device. 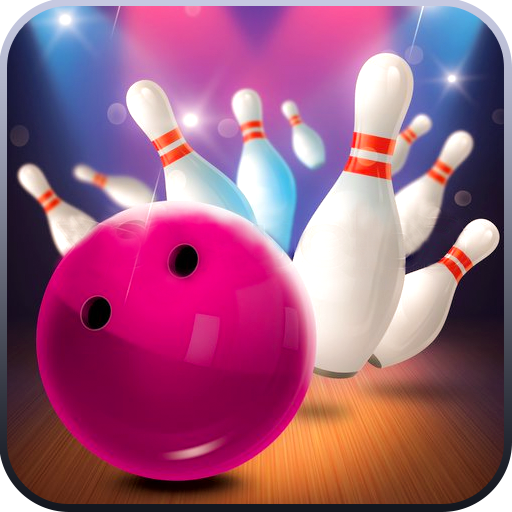 With the exclusive slide selection feature you can select 100’s of pics quickly and tag them all with 1 tap. 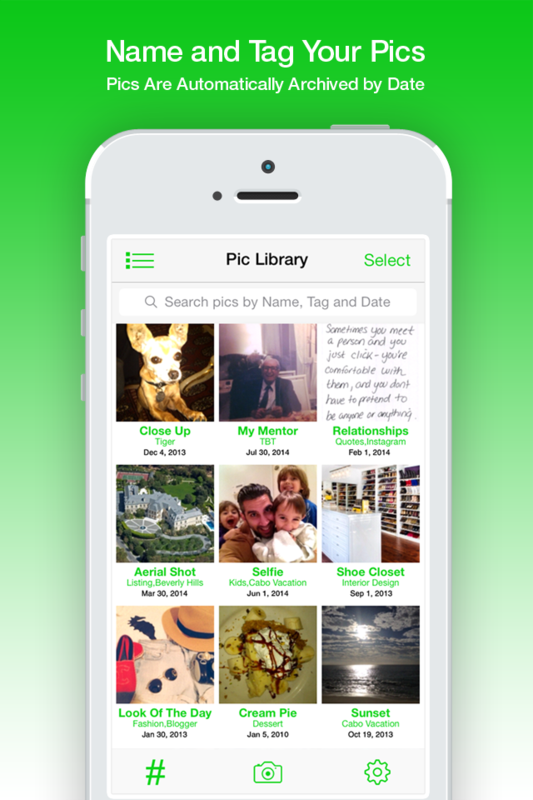 Even if you never add a name or a tag to your pics, they will automatically be archived by date. This means you will be able to use the search bar to simply type in the month, day, or year a pic was taken and as you type all matching results will be displayed. QuickPics Photo Manager is filled with other valuable and convenient features such as a built-in camera, numerous photo editing tools , direct uploading to your favorite social media sites, inserting pics into your email or text messages, synching with your cloud storage and much, much more. Moral of the story: Download QuickPics Photo Manager & Stop Scrolling! Note: Users need to have a separate account with the cloud storage provider; this is not a part of QuickPics Photo Manager. Tell us what you think. We are committed to building the best QuickPics Photo Manager for you and are always interested in your feedback. Email us at support@quickpicsapp.com. 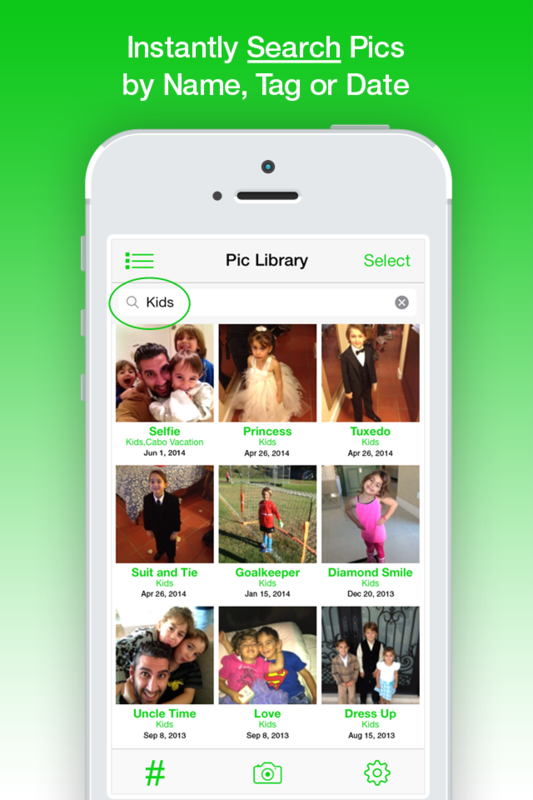 QuickPics Photo Manager gives you the ability to name each individual pic. Yes, name EACH pic, that is not a typo! In addition, you can add upto 5 tags to each pic. Tags act like virtual albums. You can use two features to search: search bar or sort button. In the QuickPics Photo Manager search bar, as you start typing the pic name, tag or date, all matching pics will instantly appear below. Alternatively, you can use the drop down sort button to sort by name, tag or date. With the QuickPics Photo Manager slide selection feature you no longer have to click each pic to select it, you can slide across multiple pics to select them all. This innovation will save you a lot of time and frustration! You can tag multiple pics at the same time. This will come in handy with the pics you currently have on your phone and with all of your new pics to efficiently tag or delete multiple pics. QuickPics Photo Manager knows how valuable storage space is which is why unlike other apps, QuickPics Photo Manager does NOT make copies of your pics, it acts as a photo viewer connected to your Photos folder on your device; all pics are accessed from and saved to the Photos folder. 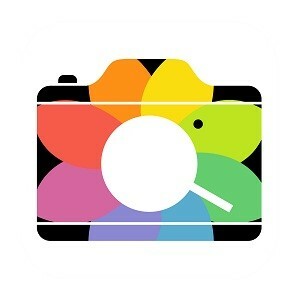 Note: you will need a separate account with the cloud storage provider, this is not a part of QuickPics Photo Manager. You can take pics from within the app using the QuickPics Photo Manager Camera. Once a pic is taken, the pic appears with 2 buttons below it. You can “Retake” the pic or you can “Use Photo” which allows you to name and/or tag it on the spot. 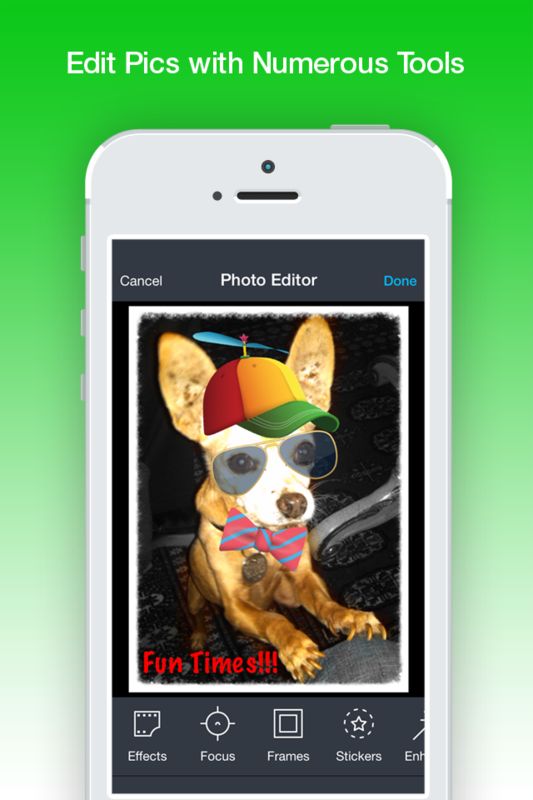 Many features such as cropping, rotating, writing on a pic, framing a pic and more! The edited pic will be saved as a new pic. You can continue to easily insert pics into your text or email messages, just as you do in your current Photos folder. 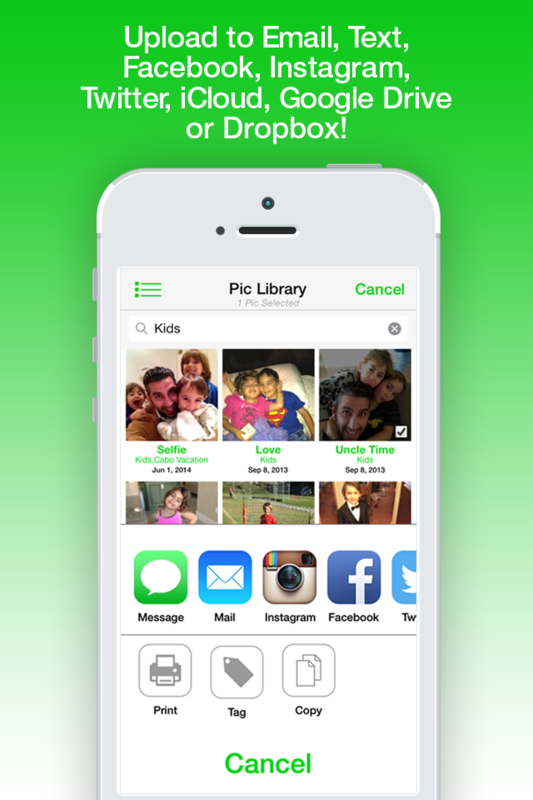 You can easily insert pics into your favorite social media sites like Facebook, Instagram, Twitter and more.